Ordering essential oils from Young Living is fast, safe, and easy! I will be happy explain the basics on how to order essential oils from Young Living. First and foremost, PLEASE feel free to contact me if you have any questions or if you need any assistance getting started with Young Living. I will be more than happy to help you! Visit the Young Living official signup website here. 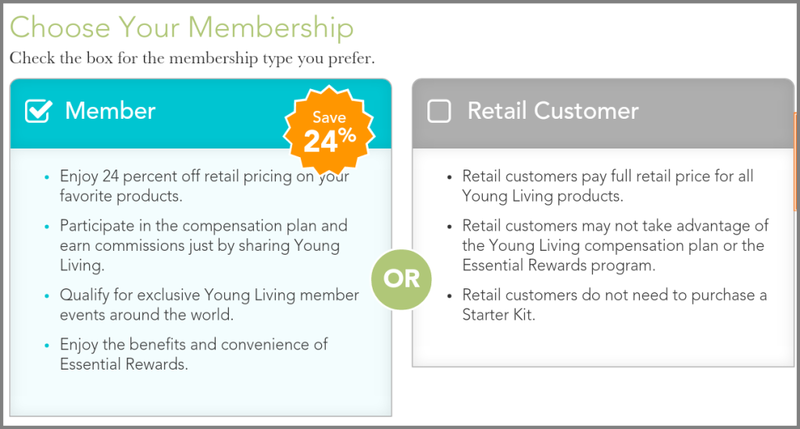 Decide if you want to become a retail customer or a Young Living member. You first need to decide if you want to become a retail customer or a Young Living member. As a retail customer, you pay retail pricing. Well, let’s be honest, who really wants to pay retail for anything these days? As a Young Living member, you save 24% off ALL your orders with Young Living and have the option to build your own business and earn commissions. You can learn more about Young Living commission levels here. I would highly recommend choosing the member option. All that is required is purchasing a starter kit and having at least one $50 order per year, which is very easy to do. Select either “Retail Customer” or “Member”, whichever you decide to go with. Once you decide what path you wish to take, click the option you are going with. Further down, you will notice the “Sponsor ID” and “Enroller ID” 2253869 already filled in (that’s me). This allows me to personally support you with your essential oil journey. 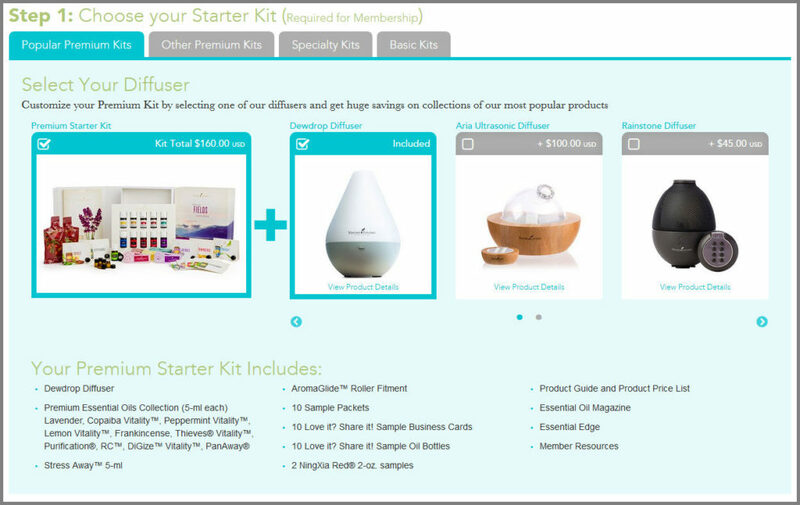 If you chose to become a Member with Young Living, you will need to choose a starter kit and choose which diffuser you would like with it (recommended). Choose your Stater Kit – How to order essential oils from Young Living. There is no annual cost to be a member, but you do need to order a starter kit when starting (see current member promo for each premium starter kit). The great thing about a starter kit is you will get up to 11 different essential oils to help start you on your journey with essential oils. Remember, by becoming a Young Living member, you will receive a 24% discount off ALL of your orders. After this, simply having at least a $50 order once a year will keep your membership account open. I HIGHLY recommend the Premium Starter Kit with the diffuser. Currently, the kit that includes the Dewdrop Diffuser costs $160. You can view more details on their other starter kits and diffusers if you wish to compare them (we use the Home Diffuser and it works wonderfully). My husband and I were hesitant to order the Premium Starter Kit at first due to the cost, but trust me, it was money well spent and we never regretted it since. The starter kit oils helped us really understand how great the quality of Young Living essential oils are. We don’t think you will regret it! If you are on a budget and would still like to become a Young Living member, you can just order the basic starter kit for $45 under the Basic Kits tab. You STILL get the 24% member discount with the Basic Starter Kit! If you choose to become a member, decide if you would like have automatic monthly delivery (recommended). 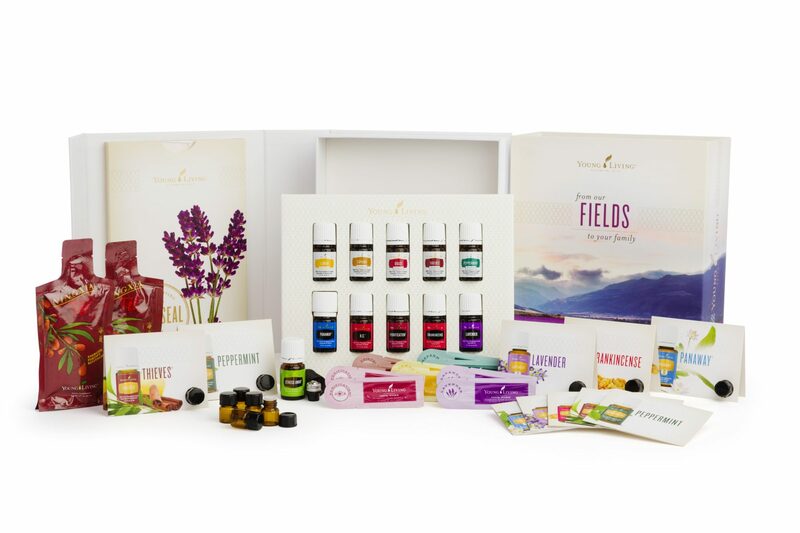 Automatic Monthly Delivery – How to order essential oils from Young Living. 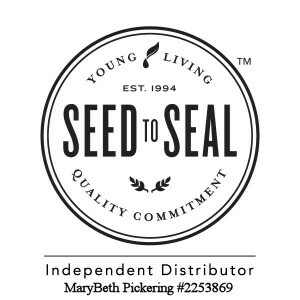 Decide if you would like certain Young Living products to be delivered to you every month. 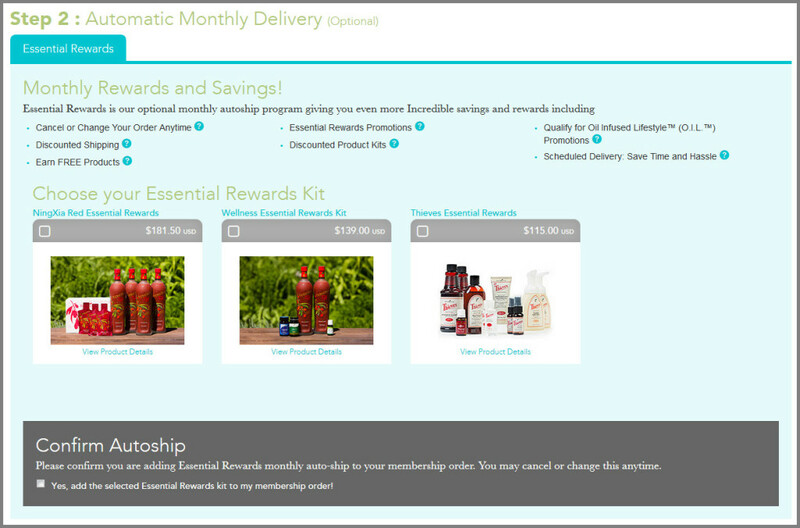 This is a great feature that allows you to automatically receive a recurring order of essential oil products each month. The best part is, you will receive 20% back in bonus rewards, which you can later spend as currency for other Young Living products! Learn more about Essential Rewards. Proceed to Checkout – How to order essential oils from Young Living. Click “Next” to continue, as shown. You can add any additional products you would like to order by clicking on the “Optional: Add Additional Products” option. Complete all of the required fields on the following page about yourself (membership only). 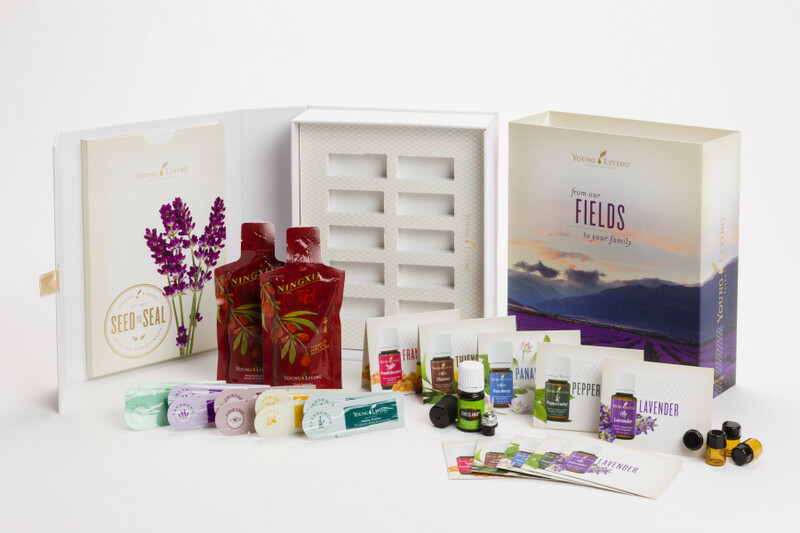 Membership Information – How to order essential oils from Young Living. 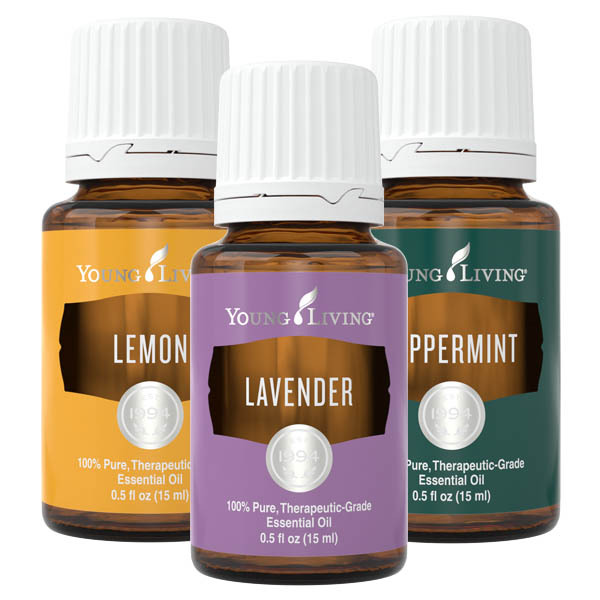 Sign-In Information – How to order essential oils from Young Living. 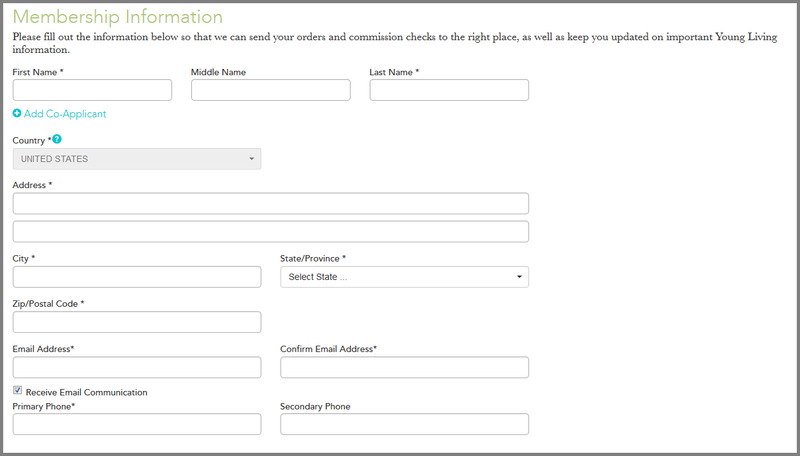 Commission Processing Information – How to order essential oils from Young Living. Terms and Conditions – How to order essential oils from Young Living. Enter all of your membership information, as required. You will then enter your Sign-In Information. As stated, this allows the tracking of your orders and also membership information if you chose to become a member. Now you are asked for Commission Processing Information. This is strictly for tax purposes only. You can choose to either file it individually (using your SSN) or as a business (using a tax ID). Finally, feel free to review the Policies and Procedures, Member Agreement, and Compensation Plan. These are in PDF format but are very organized for your convenience. Click “Agree and Continue” to proceed. Enter shipping and payment information and finally, checkout! Enter your shipping and payment information. Then follow the prompts to checkout. To read more about why I believe Young Living is the best choice for essential oils, feel free to read Why I Chose Young Living Oils. Again, feel free to contact me with any questions or issues you have and I will be happy to help! Page last modified on July 10th, 2017	by MaryBeth Pickering	.